Award-winning singer/songwriter/music producer Kenneth "Babyface" Edmonds will receive an honorary doctoral degree from Indiana University during an October visit to the IU Bloomington campus, where he is expected to speak at the IU Auditorium. "As an Indiana native and an award-winning singer, prolific songwriter and innovative producer, Kenneth Edmonds has made an extraordinary contribution to the Hoosier state's great tradition of shaping the sound of American popular music," IU President Michael A. McRobbie said. "He has worked with nearly all of his era's biggest musicians and composed hundreds of top R&B and pop hits, while also actively engaging in numerous philanthropic causes that reflect his passion for helping others and passing along the gift of music to future generations. We look forward to welcoming him to Indiana University and recognizing his outstanding career and many distinguished achievements in music with the highest academic honor that the university can bestow." Edmonds will receive his honorary degree at 2 p.m. Oct. 18 at the IU Auditorium. 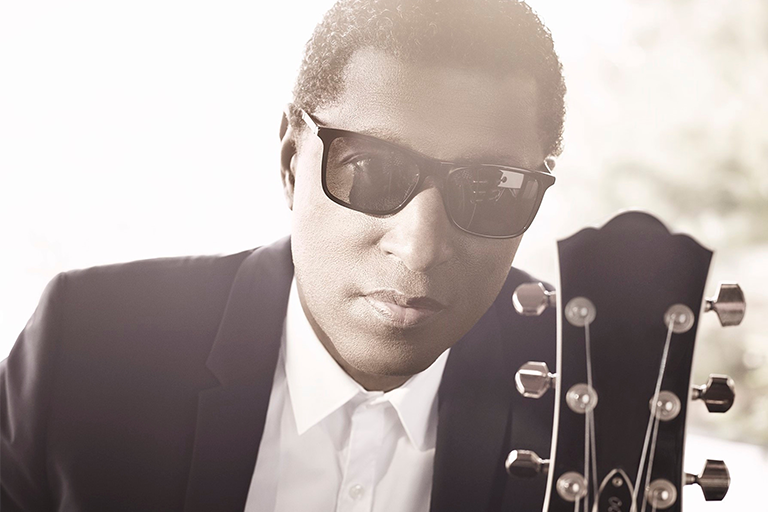 Following the conferral will be "A Conversation with Kenneth 'Babyface' Edmonds." James Strong, director of the IU Soul Revue, will facilitate the discussion. Complimentary tickets will be available beginning at 10 a.m. Wednesday, Sept. 19, at the IU Auditorium box office or online at IUAuditorium.com. Tickets will be limited to four tickets per person. Born in Indianapolis, Edmonds has made an impact on the music business that spans decades. In 1989, he co-founded LaFace Records with L.A. Reid and nurtured the careers of megastars such as TLC, OutKast, Usher and Toni Braxton. The 11-time Grammy winner has produced and written or co-written hits for Bruno Mars, Ariana Grande, Barbra Streisand, Celine Dion, Beyonce, Whitney Houston, Eric Clapton, Michael Jackson, Madonna and countless others. Edmonds has contributed to more than 600 million single and album sales worldwide, with more than 200 Top 10 R&B hits. He has more than 50 Top 10 pop hits to his name, including 16 No. 1s. His own multiplatinum albums include "Tender Lover," "For the Cool in You" and "The Day." His 2015 release, "Return of the Tender Lover," introduced a freer, less structured Babyface putting his stamp on a sound he describes as "unapologetic R&B." He is currently in the studio working on a new album. Edmonds has won numerous awards and honors, including a Soul Train Music Award, BMI Award, NAACP Image Award, American Music Award and BET Walk of Fame Award. He has a star on the Hollywood Walk of Fame and was inducted into the Songwriters Hall of Fame in 2017. Passionate about philanthropy, Edmonds has actively supported Carousel of Hope, which benefits the Children's Diabetes Foundation; the Barbara Davis Center for Childhood Diabetes; Larry Ruvo's Keep Memory Alive organization; VH1 Save the Music Foundation; the David Foster Foundation; and many others. "Kenneth 'Babyface' Edmonds will go down in history as one of the greatest singer-songwriters, producers and musicians of all time," Strong said. "His writing style, class and talent have helped shape the landscape of music the world over. The phenomenon of Babyface has single-handedly helped black popular R&B music maintain its grip on its sole driving force, love."